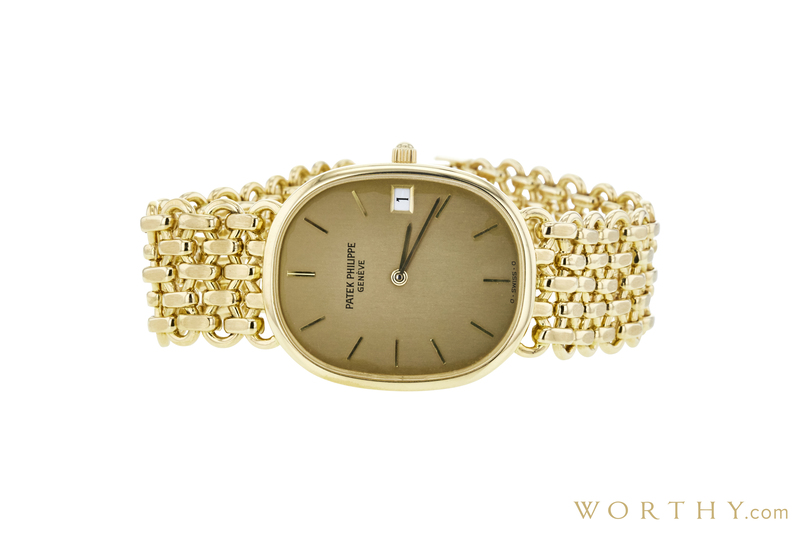 This Patek Philippe golden ellispe was auctioned at Worthy. The man's watch is 27 mm in diameter with yellow gold case, yellow gold band. It features complication and hand-winding movement. It is in very good condition and attracted 173 buyers.